FOR ME, MINDFULNESS BEGINS WITH A CUP OF TEA, WITH MY CHOICE OF TEA MARKING THE TIME OF DAY. TEA IS THERE TO BE ENJOYED WHILST CATCHING UP WITH FRIENDS, OFFERING THE PERFECT PICK-ME-UP TO LONG WORKING DAYS, SIPPED UNDER A BLANKET WHEN FEELING OFF COLOUR, TO DRINK WHILST PUTTING THE WORLD TO RIGHTS AND TO BE RELISHED IN THOSE QUIET MOMENTS, OFFERING CLARITY OF MIND, RESTORING A LITTLE ZEN AND BALANCE TO THE DAY. 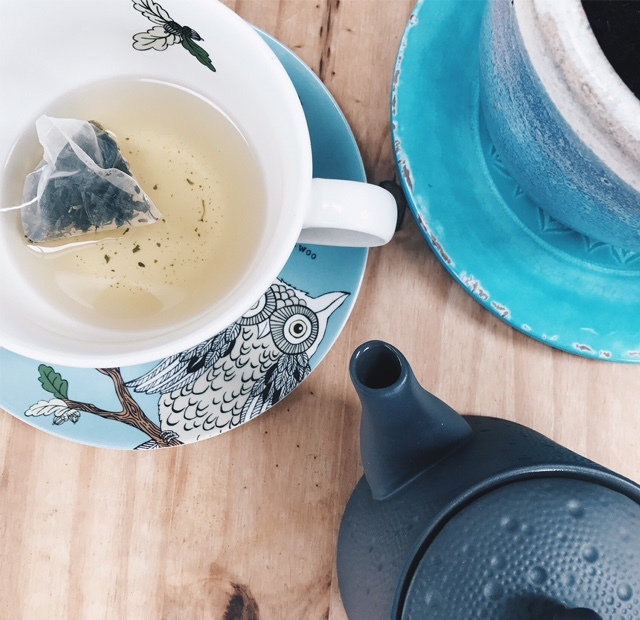 The simple everyday pleasure of a cup of tea can be incredibly uplifting – a well-timed tea will always put me in a better place, inspiring me for the day ahead. I can’t quite remember when my love for tea began, though I know it was a long time ago. I have however, come a long way since my milky PG tips days and nowadays feel I am something of a budding tea critic. I cannot fathom the thought of a mug of builders and when a tired looking tradesmen arrived to measure up for the new kitchen, I refused to make the poor chap a ‘normal cuppa’, so there he sat, looking slightly phased by the delicate cup of popcorn tea that I insisted he try, with all the enthusiasm of someone that had made a discover of something far more precious than a tea. Though to me, a new tea discovery is always something to dance around the room and shout about. Ironically, it was during my days as a student that I moved from ‘normal’ tea to earl grey and I haven’t looked back since, these days drinking only variations of green tea along with a handful of herbal infusions. I can’t contemplate the day ahead until I’ve had a cup of Teapigs Mao Feng green, its one of the best greens I’ve tried, perhaps as it’s a lighter, more delicate flavour compared to that of other brands that can be a little on the bitter side. I flit about various greens throughout my day, reminding myself of the numerous health benefits each time I pour myself another mug. Late afternoon, I move onto a white or blue tea, which I find have a more mellow taste. Before bed, it is always a jasmine infusion, possibly my ultimate fave and one to be savored for the quieter moments. If possible infused in a pot, watching the pearls unfurl on contact with the boiling water. So just what is it about tea that holds such an importance to our days? Although tea is thought to be a very British tradition (and we certainly are a nation of tea drinkers), the history of tea dates back thousands of years and was first introduced in China, cultivated and processed here centuries before it was grown anywhere else in the world. China is the original source of tea knowledge and carries some of the most rare and sought after varieties. Widely enjoyed by Chinese Buddhist monks, perhaps this is why tea seemingly has the power to calm the mind and offer clarity in moments of chaos. A cup of tea contains a healing power that is all too often overlooked. It is there to be enjoyed in an abundance of ways, from starting the day to a pick-me-up during the busiest hours. Tea is for washing down cake with whilst catching up with your favourite people or to be celebrated as an art form in an authentic teahouse. 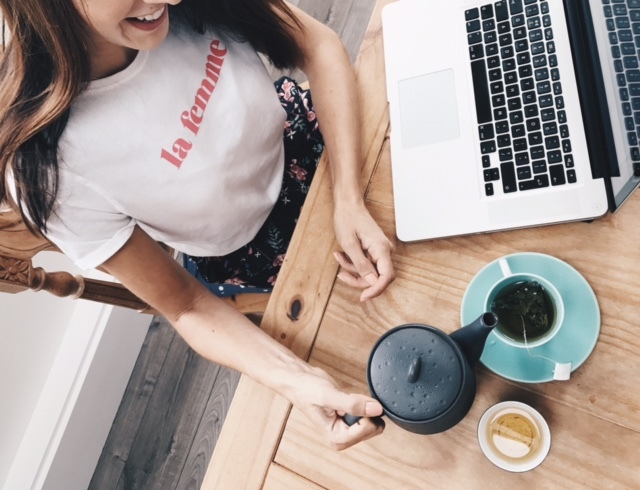 The high profile tea company JING sells their uplifting array of teas as 'The Definitive Experience', the ethos being to inspire the world to enjoy tea at its best. JING believe in tea that is as delicious as is uplifting to the spirit, delivering the ultimate experience. I couldn't agree more, this is the only way to enjoy a good cuppa. JING source and share authentic teas produced by masters, using skills handed down over generations. The tea is picked and expertly made before being packed at the source for unrivalled freshness. The idea being that your beautiful tea package should arrive with you as fresh as it left the garden. 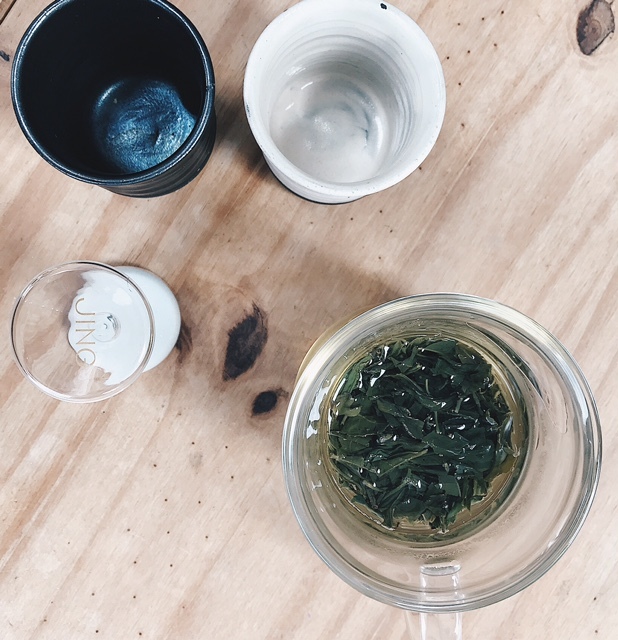 JING also design teaware to help you get the very best flavour out of your tea, combining an elegant design with a refined function, enabling customers to experience an authentic tea ceremony that is a simple everyday pleasure. Founder of JING, Edward Eisler, was inspired by the ancient tea culture still in existence, that he discovered whilst travelling in China and so set out to share all he had learnt with tea drinkers worldwide. “I was fascinated by the quality of the tea production, the dedication to terroir and the approach to tea-drinking which strove to get the best out of the amazing tea leaves. The ceremonies, the traditions, and the knowledge and skill of the tea farmers I met were a revelation,” says Edward. I was kindly sent a couple of JING’s beautifully blended loose teas to sample. The Organic Jade Sword, described by JING as the most refreshing organic green tea you will find for everyday drinking could indeed be my new every day green - it offers a true hit of green leaves, with a delicate flavour that instantly perks me up. Jasmine Silver Needle contains delicate buds of white tea, scented only with fresh jasmine flowers - the perfect buds are picked in April and simply dried in the sun. In August the tea is laid beneath a bed of jasmine flowers for five consecutive nights balancing the sweet white tea with fresh fragrant jasmine aroma. The result is a beautifully calming, aromatic tea, perfect to sit back and relax with - this is my my absolute fave, I honestly can't drink enough! 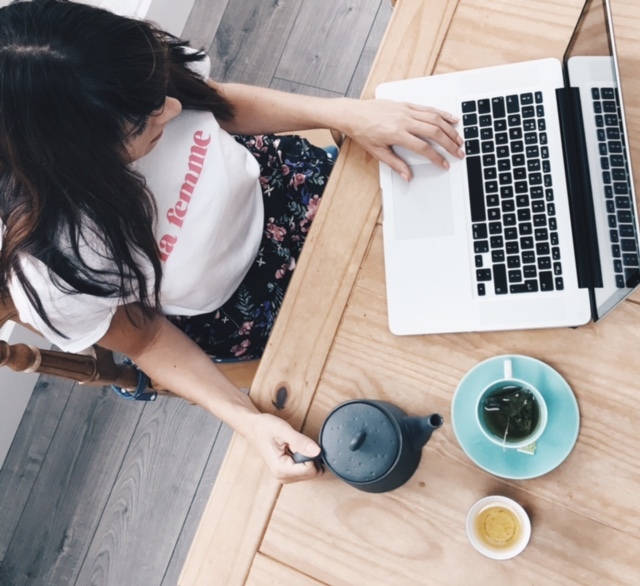 There are many reasons I am a devotee of the perfect tea experience, the offering of taking time out to create space and indulge in some mindfulness is too good to ignore. Whether that may be taking time to catch up with a friend you’ve not seen in ages, enjoying a slice of something delicious, sinking into a good book or leafing through a magazine for inspiration. Taking time out has been proven to inspire the flow of creativity. It also allows space to simply sit and enjoy being in the moment. 01. YAUATCHA – A dim sum teahouse situated in Soho offering contemporary Cantonese, dim sum patisserie inspired by European culinary techniques and Asian ingredients and of course an extensive range of teas (and cocktails). YAUATCHA has possibly the longest tea menu I’ve come across and offers the perfect ambience to enjoy a pot of the some of the finest teas you will find. 02. Dillie & Kamille Danish loose tea. Renowned for their kitchen garden herbs and aromatic fusions. Beautifully packaged teas with a focus on fresh leaves, some of the flavours also make refreshing iced teas to be enjoyed over the summer months. 03. Teapigs Mao Feng, Jasmine Pearls, Silver Tips. Teapigs offer the perfect biodegradable pyramids in the form of sleek silk sacks. The green is a really nice everyday day that is light in flavour, free of the bitterness many greens contain. 04. Beautiful flowering Teas. Flora teas are to be studied closely, as much as they are to be sipped. The wonderfully aromatic teas offer a tea experience with infusions in the form of a bud that opens out on contact with the hot water, combining blooms such as Jasmine, Marigold and Rose. 05. JING tea – My ultimate fave, for the definitive tea experience (see above) It really is worth investing in some of these incredible single origin loose teas, perfect for topping up the infusion mug throughout the day.